The basic plot from Amazon: The electrifying next installment in the Red Queen series escalates the struggle between the growing rebel army and the blood-segregated world they've always known—and pits Mare against the darkness that has grown in her soul. 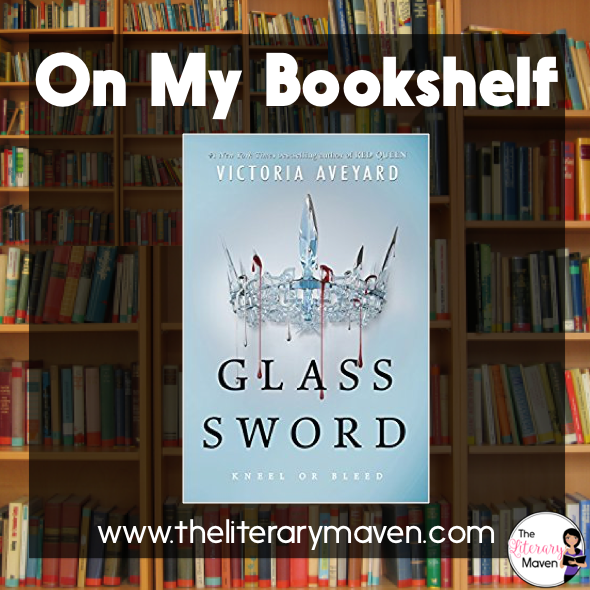 Why I liked it: I loved The Red Queen, the first book in this series and couldn't wait to read the Glass Sword; it didn't disappoint. It was just as packed with action and twists in the plot. Mare still can't be certain who she can trust. Her relationships with family and friends are strained by her quest to find others with powers like herself, and her own motives are questioned as innocent lives are lost. Some events at the end of the book seemed a bit rushed and I had to reread to make sure I caught everything. The ending scene also seemed incredibly abrupt until I realized there was a third book in the series. 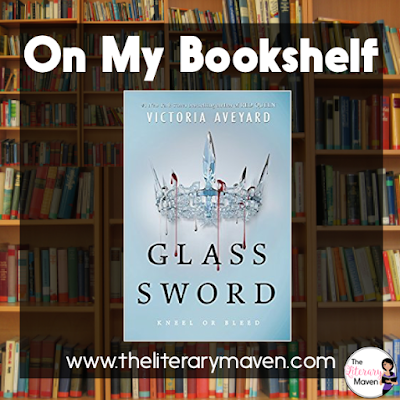 Classroom application: Like The Red Queen, this novel would appealing to middle school and high schoolers, male and female students. If you have students that couldn't get enough of series like The Hunger Games or Percy Jackson and the Lightning Thief, hand them this book to get them started on another great series. The novel could be used as a choice in studying the genre of fantasy or in a comparison of dystopian worlds. 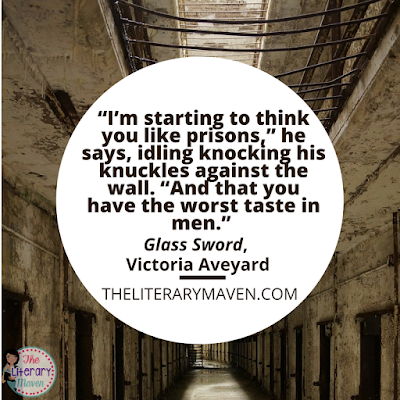 If you are interested in purchasing a copy of Glass Sword for yourself, you can find it on Amazon here.